A big update is currently rolling out to the Microsoft Photos app on Windows 10. The update, version 2017.39081.15820.0 for those keeping score and who like to play version number BINGO!, brings the ability to draw on photos and share them as well as improved editing features among the changes. 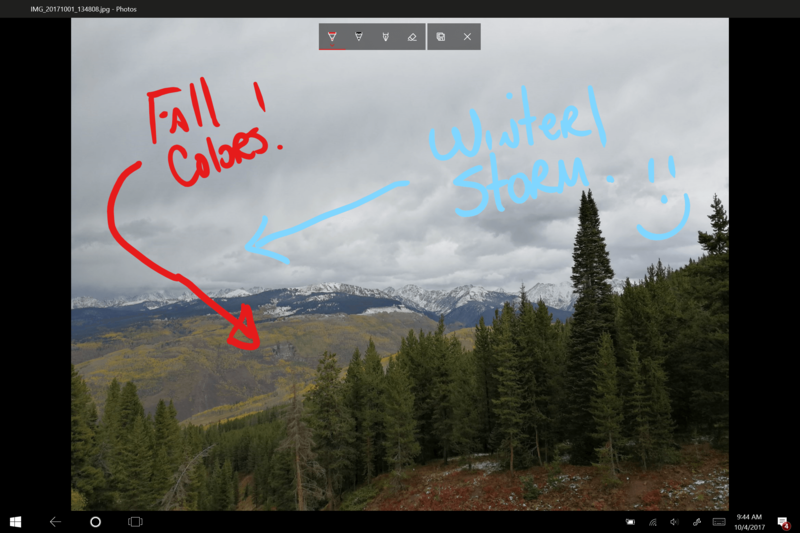 When you open a photo within Microsoft Photos, you will now see the option to draw on that photo. You can then use your finger or stylus to write text or point out items in the photo and them share them with others. The great thing is, this new feature will save a copy of the photo you are drawing on, keeping your original safe and sound. there are new filters and adjustable options like light and clarity in the editor. For PC users of the app, you can now enter full screen mode in the photo view by pressing F11 and you have better browsing of your collection and interacting with a single photo with your mouse and keyboard. Also, using your mouse wheel while viewing a photo gives you the ability to zoom in and out on your photo. Finally! This is a big update for the app and it should be rolling out to everyone over the course of the next few days.